Willow: I’ll grab a coke if you don’t mind … and some of those m&ms! Your story, Savage, is written in the first person- from a male’s point of view! Honestly, I was a little concerned about that… I can’t think of the last paranormal romance story I read from the hero’s perspective. But it surprised me by how well it works <g> I liked getting into his head and knowing how Christian felt about the changes in his life… moving from Denmark to Florida… and other life changing adventures. How did you come to write Savage from the male protagonists’ voice? Willow: I have always written books taken from a female perspective so when I started planning the new series I felt like I wanted to do something different this time, something I hadn’t tried before. And as it turned out it was actually a lot more fun than I had expected. And challenging at times. I had to consult with my husband on several topics because it was very difficult as a woman to understand how men react. We tend to overthink and overanalyze them and often female writers make men too soft and too much like a female character when they write about them. Me: You’ve got that right! Men are from Mars and all that lol but you wrote Christian in a very real way and it seemed to draw me deeper into his way of seeing things. 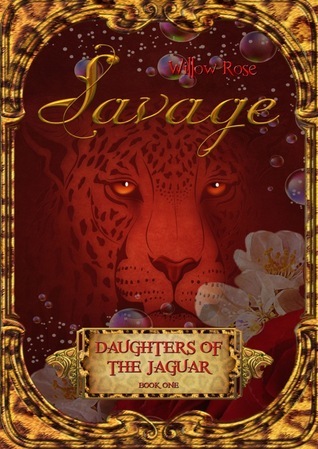 Savage is the start of your Daughters of the Jaguar trilogy. The adventure begins in 1983. I enjoyed the blast from the past and reading about walkmans and cassettes, Michael Jackson and the cars, clothes and mindset. How did you prepare to write this tale? I hope music and movies were involved…lol Do you have a favorite movie from the 80s that you re-watched? Willow: I have seen him in Thor and knew he was perfect lol. I didn’t know he had done TV-shows either but I see that he has done several. Could be fun to find them. Me: Please tell me what you’re working on now. *puppy eyes* Do you have a blurb to share for the sequel to Savage? Willow: I have actually just finished the sequel “Broken”. It is at my editor’s and I hope to have it back next week so I can put it up for sale. I can’t wait to get it out. It’s such a great story. When we meet Christian again ten years has passed and he is now a grown man. He is married and has a child. But even if ten years has passed Christian hasn’t changed a bit. He hasn’t aged at all. He has become a very rich man and known eye-surgeon. One day at a charity event something happens to him. His muscles are hurting, his body is burning up and his eyes blue starts glowing. Does he have a fever or is something happening to him? Something that will change his life forever? OK- it’s time for The Book Tart quickie! Me: Yay! Thank you so much for visiting The Book Tart. I am excited to see more in your Daughters of the Jaguar series and any other stories you choose to tell. There is a Rafflecopter at the bottom of this post with two chances to win! Willow is giving away an ebook and a signed print copy of Savage! It is the first book in a family saga that covers three decades of the character’s lives. The sequel is expected in September 2012. I removed my clothes and followed her into the cold water that sprang from the center of the earth in a spring somewhere further north and therefore had the same temperature all year around. “Are there any animals in this water?” I asked as she carefully took me by the hand and led me in. “There might be manatees,” she said with a shrug. She laughed. “There might be, but we rarely see them. Besides. It just makes it that more exciting, right?” She pulled my hand and drew me close to her. Our bodies felt warm against each other, her skin was soft, and touching it made me forget about animals in the water and the sounds of nature. I even forgot about my concerns as to hurting her and disappointing her parents. All I could think about was her and me, here right now in this water that was caressing our bodies. I kissed her again and held her naked body close to mine while allowing the passion to rise in me. Suddenly she pulled away from me. “Stop,” she whispered urgently. I looked at her and saw that the expression on her face had suddenly changed. “What’s wrong?” I asked sensing that my voice was shaking slightly. If it was out of fear or caused by the arousal I didn’t know. I am the author of the Afterlife-series. It is a Y/A Paranormal Romance-novel for the young reader with a twist of both fantasy and mystery in it. Currently I have released three books in the series, Beyond, Serenity and Endurance. They are both available on Amazon.com, Smashwords, Barnes and Nobles, etc. and as paperback if you prefer that. I have also written a mystery-novel called One, Two… He is coming for you, and a fantasy novel called The Eye of the Crystal Ball. Willow Rose is graciously letting The Book Tart give 2 prizes away! This contest is for US residence age 17 and older and runs from Sep 7th-21st . The winners will be chosen on the 22nd and notified via email and in this post and will have 48 hours to reply before another winner is chosen. To enter, leave a comment telling us if you’ve experienced a close call that made you look at life differently- like the hero of Savage. You can also earn extra entries by following Willow Rose and me. I witnessed a miracle. And every day I watch something truly amazing happen. Confirms my spiritaul beliefs. It’s a long story. Let me know if you want to hear it. Yes. I had an experience, and ive seen some. This sounds great!! Id love to read it! 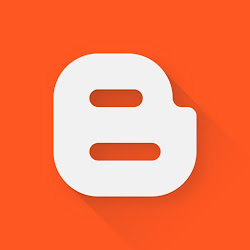 Thanks for sharing and for the great giveaway! Have you had a close call that made you appreciate life like the hero of Savage? I have had several close calls in my lifetime only my heroes just faded into the crowds of people.